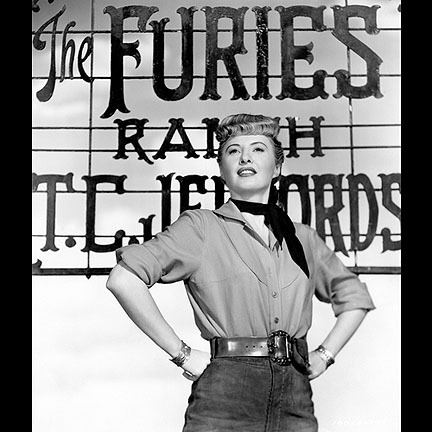 This pair of riding breeches was worn by Vance Jeffords portrayed by Barbara Stanwyck in the 1950 film, “The Furies”. 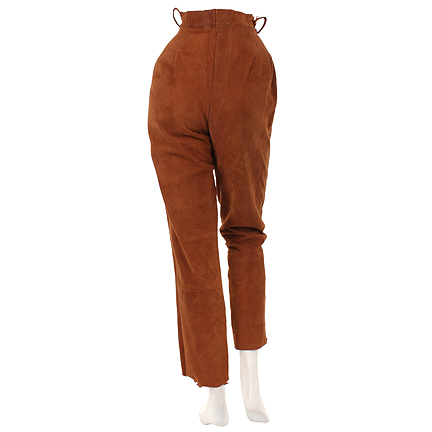 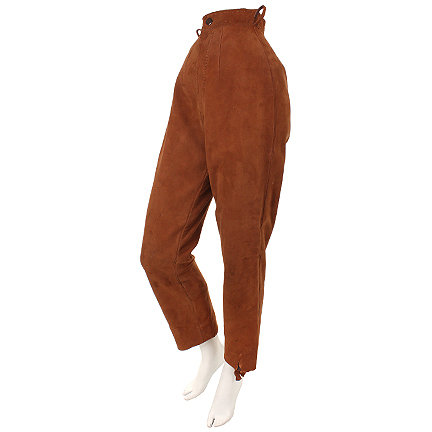 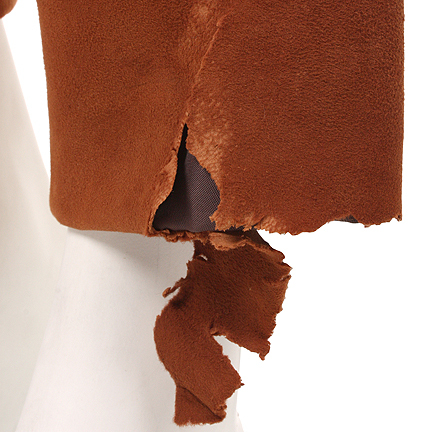 The breeches are constructed out of suede and were custom made by Acuna Hollywood. 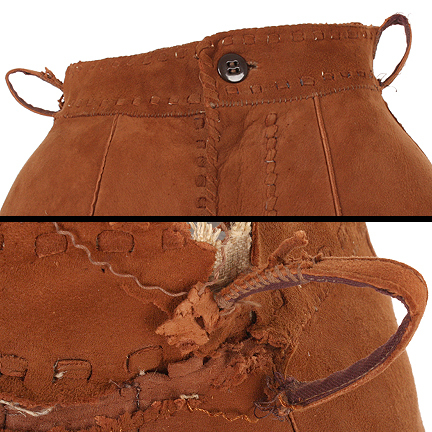 There is evidence of wear with a few tears along the hem and waistline from production use and age. 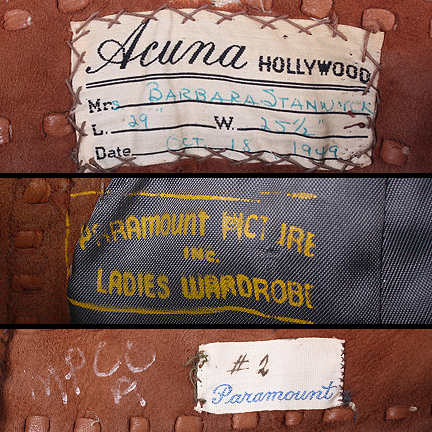 The Acuna company label is sewn inside the waistband with “Barbara Stanwyck, Oct. 18, 1949” hand written in blue pen, along with “Paramount Pictures Inc. Ladies Department” stamped in yellow ink, and a Paramount label with “#2” handwritten within the garment. 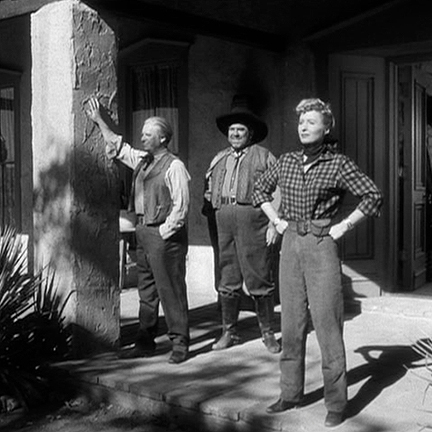 The waistline was taken in and let out during subsequent Paramount productions. 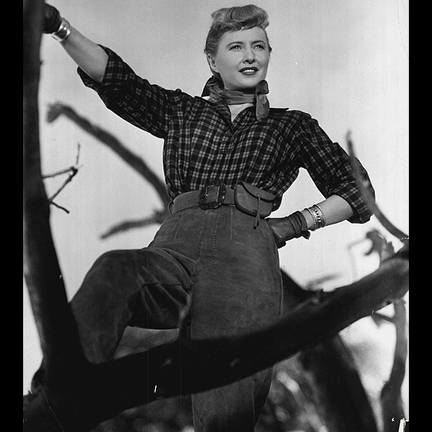 Ms. Stanwyck wore these breeches throughout the majority of the film and it is part of her signature look for the character Vance. 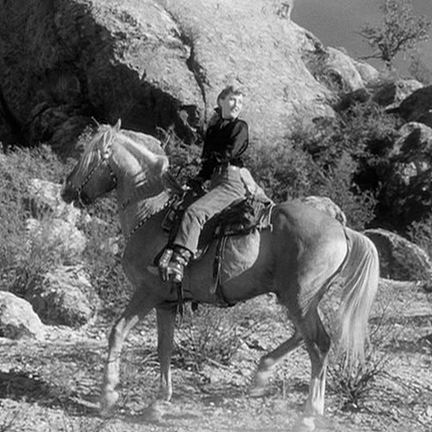 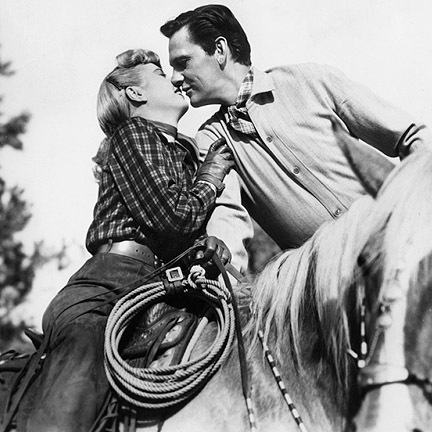 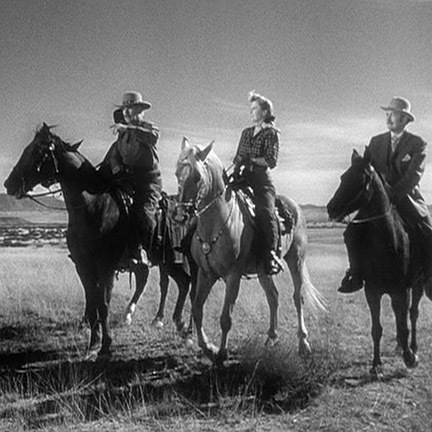 She can be seen with these breeches whenever she rides on horseback, notably when she races Juan Herrera up a hill, and they can also be seen featured in promotional stills. 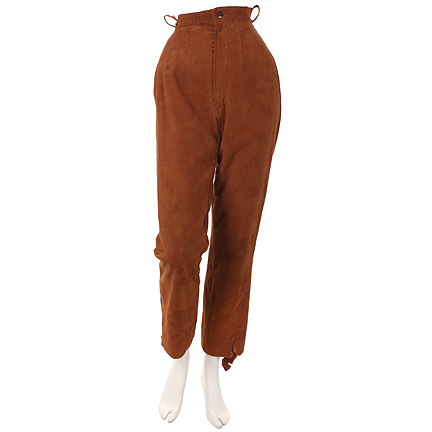 This garment is in good vintage screen worn condition and is accompanied by a letter of authenticity.